Dimensional measurements of tyre overall width, tyre overall diameter, skid depth and various others. We observe quality as the key to our success. Our cordial and credible business relations with the world outside have helped us to deliver desired output as specified by our customers. Moreover, we follow a well defined business approach to carry out all the processes smoothly. Right from understanding the requirements to supplying the consignment at customer's end, we make sure to meet the quality standards and offer our clients with the best deals. Our inclination towards customer satisfaction has encouraged us to raise our standard of quality, thus enduring long lasting bonds with the clients. This testing Machine is used to test the physical properties of rubber such as Young Modulus, Tensile strength and elongation at break. Rheometers are Instruments that are used for testing the quality of rubber materials and describing the curing & processing characteristics of elastomers. Endurance tester or drum tester to check tyre's performance, quality and life. This test is also done on Random Sampling basis. In this test the tyre is allowed to continuously run on specified load in lab till the tread separation point reaches. At our manufacturing units we always use Best System for handling green tyres that prevents green tyres from any kind of deformation. To maintain consistency in our product quality and to inculcate a quality-is-our-way-of-life culture, AMCO works to attain key international quality certifications. Our list of prestigious certifications and awards include: To ensure high quality various tests are conducted at pre-production and post-production stages to check consistency, physical strength, size accuracy, etc. of the tyres. Quality Control engineers regularly check various production stages to assure that the manufacturing process is going with the compatibility similar to international quality standards. 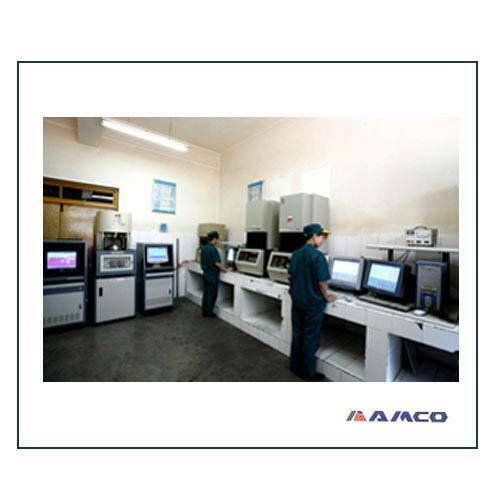 For this end, we have invested heavily on our Quality Assurance Program with quality inspectors at critical production points, X-ray machines to detect internal structural weaknesses, Universal Tensile tester, Microstructure tester, Rheometres, Endurance Testing Equipment, Plunger Tester as well as numerous other specialized machines. Striving for best and always to perform better then before. All tyres supplied by us are duly accredited by ECE, DOT, ISO-TS, CCC, CIQ, SONCAP, INMETRO, GCC, SASO, S & N HOMOLOGATION etc. International Quality Standard Certification. Besides we always offer 100% Guarantee against any of manufacturing defects of tyres supplied by us.